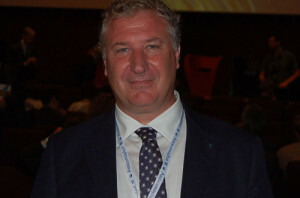 Alessandro Grassi, Managing Director of Frigosystem Srl, is elected as new President of Assocomaplast, the Italian Plastics and Rubber Processing Machinery and Molds Manufacturers’ Association that belongs to CONFINDUSTRIA. Mr Grassi was elected in the annual members assembly of Assocomaplast held on June 19. 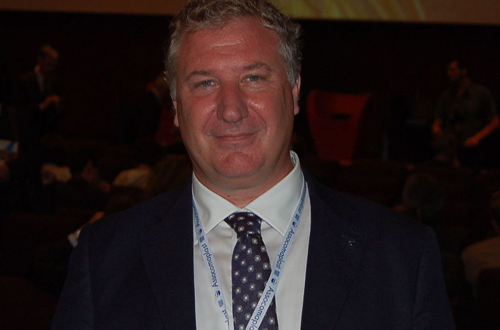 Andrea Franceschetti, International Sales Director for Gefran spa, was named as Vice President of the association. The members assembly was followed by the public Assocomaplast assembly held jointly with that of Federazione Gomma Plastica, the association of manufacturers of plastic and rubber products. Carlo Calenda, Italy’s Deputy Minister of Economic Development, was the first to speak, underscoring that the plastics and rubber sector plays a fundamental role in the Italian economy and that policymakers are supporting, with subsidies for the “Made in Italy” plan, companies in the industry and their internationalization. Another speaker was Marco Fortis, economist and Vice President of Fondazione Edison, who presented an analysis of the Italian economic scenario with a focus on the plastics and rubber industry. In his speech, Mr Fortis indicated that there are a number of signals that make it reasonable to look to 2015 with (cautious) optimism. Apart from the recent improvement in macroeconomic data – growth of 0.3% in GDP in the first quarter of 2015, weak euro with respect to the dollar and low oil prices – and in light of the comments recorded during Plast 2015, he said that, albeit with some caution, there are signs of recovery in the Italian conversion market. This was followed by a round-table discussion on the topic of internationalization with the participation of Licia Mattioli, President of the CONFINDUSTRIA Technical Committee for Internationalization and Foreign Investors, along with the presidents of the two trade associations and a number of businesspeople. Import-export data from ISTAT for the first quarter 2015 show an increase in imports of 15 percentage points, and of exports on the order of five, due to increases in supplies from Germany, Spain and Brazil. Regarding exports, in spite of the continuing existence of various critical or potentially destabilizing situations, both political and economic, for example in Russia, Iran, Greece, South America, etc, the US and Germany economies are strengthening and the Chinese economy is stabilizing, according to Assocomaplast. In his closing speech to the member assembly, outgoing Assocomaplast President Giorgio Colombo provided an overview of the trend for the sector with the above-mentioned 2015 data and underscored once again that 2014 was a year of substantial recovery for the Italian plastics and rubber processing machinery industry, with production estimated at €4 billion (+2.6% with respect to 2013) and exports growing by 5% (to €2.68 billion).